I pray thee, good Mercutio, let's retire. I think it would be a good idea to get out of the streets, Mercutio. When it’s as hot as this, people get easily provoked. There’s lots of Capulets about. I’m afraid that if we run into any of them, we’ll wind up in a fight. You’re one of those guys who goes into a pub and takes his sword off saying, “I won’t be needing you.” But by the time your second drink is having an effect, you’ve drawn your sword on the bartender for no good reason. him on the drawer, when indeed there is no need. You’re as hot-headed as any Italian. You get angry at the smallest provocation, or when you’re feeling angry already, you just look around for something to provoke you. “Provoked two”? No, if there were two of you, there would quickly be none, since they would kill each other. You! Why you would quarrel with a man who has one more or one less hair in his beard than you do. You would quarrel with a man for cracking hazelnuts just because you have hazel eyes. You ask, “Am I really like that?” You are the “I” with an eye for finding quarrels. Eggs are full of yolk, or "meat." And eggs are "beaten," or whipped before cooking. An "addle" egg is a rotten one—which would be useless for cooking, or in this case, "quarreling." In this line's more metaphorical sense, Mercutio's brains are full of quarrels; resulting in his brains being beaten, making him addle-brained, or confused, and therefore useless in a fight. Your brain is as full with quarrels as an egg is full of yolk, even after your brain’s been scrambled like an egg when you’ve been beaten up for fighting. You fought a guy because he coughed and woke up your dog when it was asleep in the sun. Didn’t you fight with the tailor for wearing his new jacket before Easter, and with another man for putting old laces in his new shoes? And yet you would lecture me about quarreling! If I were as quick to get into a fight as you, any man should bet that my life will be short. tailor for wearing his new doublet before Easter? riband? And yet thou wilt tutor me from quarreling! Fee-simple is the value of a lease that runs forever. Mercutio is saying that Benvolio's use of a fee-simple metaphor to refer to the value of his life is a "simple" (that is, slow-witted) metaphor. I swear on my head, here come the Capulets. I swear on my heel, I don’t give a damn. [To his companions] Back me up, I’m going to talk to them. [To Benvolio and Mercutio] Gentlemen, good afternoon. I’d like a word with one of you. Gentlemen, good e’en. A word with one of you. Just one word with one of us? Why not add something to it? Make it a word and a blow. You’ll find me ready enough for that, sir, if you will give me an excuse. Can’t you take some excuse, instead of me giving you one? Hang out with him? Do you think we’re a musical group? If so, you’re only going to hear harsh notes from us. here's that shall make you dance. 'Zounds, consort! We talk here in the public haunt of men. [Pointing to his sword] Here’s the bow for my fiddle, it’ll make you dance. By God, “consort” you say! We’re arguing out in public. Remember the Prince’s threat. Either let’s go to some private place where we can discuss your grievances calmly and rationally, or else go our separate ways. Here everyone's looking at us. Men's eyes were made to look, and let them gaze. I will not budge for any man's preference. Well, goodbye, sir. Here comes my man. Or else depart. Here all eyes gaze on us. Well, peace be with you, sir. Here comes my man. But I'll be hanged, sir, if he wear your livery. Romeo, the nicest thing I can say about you is this: you’re a villain. Tybalt, I have reason to love you, and that reason prevents the anger such a remark should provoke. I’m no villain. So goodbye, I see that you don’t really know me. Boy, what you said won’t excuse the insults that you have given me. So turn around and draw your sword. No better term than this: thou art a villain. To such a greeting. Villain am I none. Therefore farewell; I see thou knowest me not. That thou hast done me. Therefore turn and draw. Till thou shalt know the reason of my love. I insist, I have never insulted you, and actually have more love for you than you can guess until you understand the reason why. And so, good Capulet--a name I now must value as much as my own--be content with this. Oh Romeo, what a dishonorable, cowardly surrender! Are you going to let his fancy-named fencing moves win the day? [Draws his sword] Tybalt, you rat catcher, will you have a go with me? As dearly as my own — be satisfied. O calm, dishonorable, vile submission! Once again Mercutio refers to Tybalt as a cat, because of a popular folktale featuring a cat by that name. haste, lest mine be about your ears ere it be out. Good king of cats, I just want one of your nine lives, which I intend to abuse, and, depending on how you treat me, I may want to bash the other eight, too. Pluck your frightened sword out of its sack by the ears, and be quick about it or my sword will already be hitting you around the ears. Gentle Mercutio, lower your sword. Come, sir, show me one of your fancy moves. Show me your passado. Draw, Benvolio, beat down their weapons. Forbidden bandying in Verona streets. Draw your sword, Benvolio, and beat down their weapons so they don’t strike each other. Gentlemen, for shame, stop this outrage! Tybalt, Mercutio, the prince expressly forbade fighting in Verona streets. Stop, Tybalt! Stop good Mercutio! I’ve been hurt. A curse on both your families! I’m done for. Has Tybalt taken off with no injury? It’s just a scratch, a little scratch, but it’s enough to do me in. Where’s my page? Go, fool, fetch a doctor. Have courage, man, it can’t be a serious wound. No, the wound’s not as deep as a well, nor as wide as a church-door, but it’s enough. It’ll do the job. Ask for me tomorrow, and you will find me a grave man. I am finished for this world. A plague on both your houses! My God, a mere dog, a rat, a mouse, or a cat can scratch a man to death! Some braggart, some rogue, some villain that fights by the book as if he’s solving arithmetic problems! Romeo, why the devil did you come between us? He stabbed me underneath your arm. As an adjective, grave means serious. But Mercutio, punning to the last, suggests that they will find him to be a man in his grave. I warrant, for this world. A plague o' both your houses! us? I was hurt under your arm. I was trying my best to help. Help me into some house, Benvolio, or I’ll pass out. A plague on both your houses! They’ve made worms' meat of me. I’ve had it, for sure. A plague on your houses! This gentleman, the prince's close relation, my true friend, has been mortally wounded on my behalf. My reputation has been tarnished by Tybalt's slander--Tybalt, who has been my relative by marriage for only an hour! And soundly too. Your houses! And, in my temper, softened valor's steel! O sweet Juliet, your beauty has made me feminine, and has softened the hard steel of my nature. O Romeo, Romeo, brave Mercutio's dead! His gallant spirit has climbed up to the clouds, having left the earth too soon. We haven’t seen the end of the fallout from this awful, fateful day. This is just the beginning of a sorrow that future days will end. Here comes angry Tybalt back again. Alive in triumph and Mercutio slain! And fire-eyed fury be my conduct now. How can he be alive and triumphant and Mercutio’s killed? I’ve had enough of my considerate mercy, and now I will act with fiery fury! Now, Tybalt, take back what you said about me being a villain or else, for Mercutio’s soul has not yet flown far away, and it’s waiting for yours to keep him company. Either you or me, or both of us, must go with him. You, you wretched boy that hung out with him here, you’ll go with him in the afterlife. Staying for thine to keep him company. Either thou or I, or both, must go with him. Romeo, you have to get away, hurry! There are people around and Tybalt’s lying here dead. Don’t stand there stupefied. The prince will condemn you to death if you’re arrested. Go, get out, get away! If thou art taken. Hence, be gone, away! Which way ran he that killed Mercutio? Which we did Mercutio’s killer run? Which way did Tybalt run, that murderer? Get up, sir, go with me. I charge you in the prince’s name to obey. Where are the vile men who started this fight? The unlucky manage of this fatal brawl. Tybalt, my cousin, O my brother's child! Oh noble prince, I can explain it all, everything that happened as a result of this fateful brawl. There’s the man Romeo killed, the one who slew Mercutio. Tybalt, my nephew! Oh, my brother’s child! Oh Prince! Oh nephew! Oh husband! Oh the blood has been spilled! Oh my dear relative! Oh Prince, if you’re an honorable man, you must shed blood of the Montagues since they have shed ours. Oh nephew, nephew! Benvolio, who started this bloody fight? For blood of ours shed blood of Montague. It was Tybalt, who lies here dead after Romeo killed him. Romeo spoke kindly to him, urged him to stop and think about how silly the fight was, and mentioned your official disapproval. Everything he said, with his calm expression, even voice, and humble posture, could not ease Tybalt’s anger, for Tybalt was deaf to talk of peace. Tybalt struck at Mercutio with his sword, and Mercutio, who was just as angry, met him in that fight. They fought with warlike pride. Tybalt held death at bay with one hand and Mercutio threatened him with death again in turn, but Tybalt nimbly pushed back. Romeo cried out “Stop, friends!” and tried to bat down their swords faster than his own cry. He rushed between them, and underneath his arm, Tybalt fatally stabbed brave Mercutio, and then Tybalt ran off. He came back not much later for Romeo, who had just begun to think of revenge, and they went at it as quick as lightning. Before I could even draw my sword to break up the fight, stout-hearted Tybalt was killed, and as he fell to the ground Romeo turned and fled. This is the truth. I stake my life on it. Of stout Mercutio, and then Tybalt fled. I beg for justice which thou, prince, must give. He’s a relative of the Montagues. Affection for them twists his words, he’s not telling the truth. There were twenty or so fighting in this dreadful quarrel, and Romeo was the only one who killed. I beg for justice, Prince. You must give us justice. Romeo killed Tybalt, so Romeo cannot live. 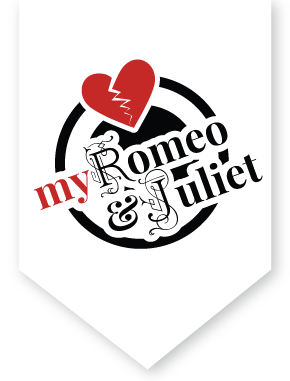 Romeo killed Tybalt, and Tybalt killed Mercutio. Who now will pay for Mercutio’s life? Not Romeo, Prince, he was Mercutio’s friend. His transgression was killing Tybalt, but the law would have condemned Tybalt to death anyway. Romeo slew Tybalt; Romeo must not live. Romeo slew him; he slew Mercutio. My blood, for your rude brawls, doth lie a-bleeding. And for the offense let him be immediately exiled. I am not indifferent to the outcome of your feud. My family lies bleeding because of your uncivilized brawls. I will punish you with such a heavy fine that you will all regret the loss of my kinsman, Mercutio. I will not hear any pleading or excuses. Neither tears nor prayers will lighten the punishment, so don’t try either. Let Romeo depart quickly, or else, if he’s found here, he’ll be put to death immediately. Bring in Mercutio’s body and obey me. Mercy only does harm when it pardons those who kill. That you shall all repent the loss of mine. Bear hence this body and attend our will.